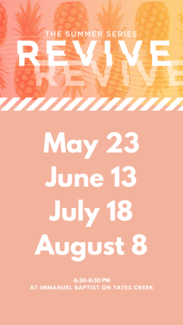 Help us make the first every Summer Revive a success! Rock a baby, lead a game, complete a craft, come and have fun with SBS kids. Background Check - Will be emailed to you upon completion of the applicaiton.